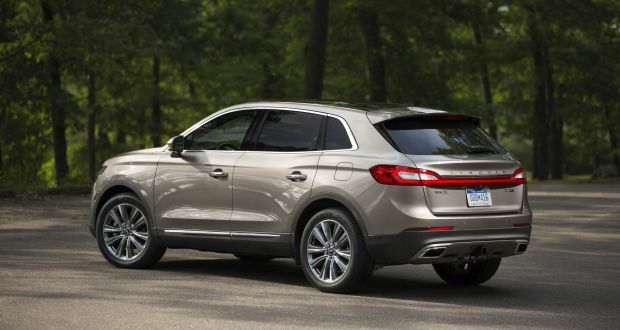 Should old nose and outdated transmission figure in your 2018 Lincoln MKX buying decision? This is the best premium-midsize crossover for you want proof a Lincoln can distinguished itself from the Ford on which it’s based. The MKX separates from its parent-company’s less expensive Edge crossover with a layer of refinement, a more upscale interior, and the exclusive offer of red-carpet customer service. That’s not to say the MKX is the roadgoing equal of such segment stalwarts as the Mercedes-Benz GLE or Acura MDX. But it is a sharper-handling alternative to the Lexus RX, yet it doesn’t try to prioritize performance over comfort in the manner of the slightly smaller Cadillac XT5. All those qualities help make it Lincoln’s best-selling vehicle, but not necessarily a class favorite. It’s outsold by every competitor mentioned above, as well as the likes of the BMW X5 and Audi Q7. Lincoln hopes to correct that with a model-year 2019 revamp that’ll bring fresh styling and more advanced mechanicals. Meanwhile, connectivity upgrades and some new colors are the only changes for the 2018 MKX. Because you’re fond of its traditional-values approach, pleased with the performance of the particular version we recommend, and realize Lincoln is generous with incentives. Indeed, cut-rate financing and low-cost leases will get even more tempting as the 2018 model year advances and dealers clear inventories ahead of the re-engineered ‘19s. Of course, you’ll need to be comfortable with the notion that your ’18 MKX will seem a bit dated once the new model drops. Today’s MKX belongs to this crossover’s second design generation. It bowed for model-year 2016, and the coming revamp will be its first major change. The five-seater fits into Lincoln’s crossover lineup between the compact-class MKC, itself a gussied-up Ford Escape, and the larger, seven-passenger MKT, a gilded version of the Ford Flex. All pale before the Lincoln Navigator, a full-size, body-on-frame SUV based on the Ford Expedition. The 2018 MKX lineup returns four models: base Premiere, uplevel Select, luxury Reserve, and concierge-accompanied Black Label. Each comes with a choice of front-wheel-drive or all-wheel drive and a naturally aspirated V-6 or a more powerful, optional turbocharged V-6. Prices are generally competitive, though top-line versions can seem expensive for a Lincoln. Every MKX is roomy and impressively quiet, and the Black Label delivers a special ownership experience. But we’ll explain below why only a turbo MKX with AWD truly stands out. Yes, if you want to see if Lincoln can lift it into the upper tier of midsize-premium crossovers. The basic understructure is sound and won’t change significantly. Neither will this vehicle’s essential dimensions. But the styling will get a needed boost, highlighted by replacement of Lincoln’s tired “split-wing” grille with its more elegant new single-frame mesh unit, as seen on the redesigned 2018 Navigator and resurrected 2017 Continental sedan. Expect a switch to a more modern eight-speed automatic transmission, a new dashboard, and adoption of upscale features, such as the cool electric-latch-release door handles from the Continental. The ’19 MKX will almost certainly cost more than a 2018. But waiting will get you a crossover that won’t change again until its next full redesign, probably around model-year 2022. Styling: New color choices are the only visible differences outside, while inside, the look of the steering wheel changes slightly. Iced Mocha Metallic and Ivory Pearl Metallic Tri-coat join the palette as $695 options, and Blue Diamond Metallic and Rhapsody Blue are new no-extra-cost choices. Otherwise, the ’18 MKX continues the same overall look that came on line with the 2016 redesign. It’s understated, yet handsome, with good proportions and just enough sheetmetal curvature to set it apart from the blockier Edge. That winged grille also sets it apart, but is no aesthetic match for the brand’s new take on a classic Lincoln look. Exterior differences between trim levels are subtle. The Black Label has full LED headlamps, the other models get xenons with LED accents. All but the Premiere also have LED daytime running lamps. All grades include bright dual exhaust tips, LED taillamps, and power heated body-colored mirrors with LED turn signals. Premiere and Select models come with 18-inch alloy wheels; Reserve and Black Label editions come with 20s and offer optional 21s. MKX matches any competitor for exceptional sound insulation, with turbo models further muffling unwanted sounds via active noise cancellation. And credit Lincoln with cabin décor that rises above Ford-level even if it falls short of the attention to detail that distinguishes virtually every premium-class rival. Most aggreges are commodity-grade plastics, sullied here and there by rough edges, found on various cabin panels. Some of the switchgear feels lightweight and hollow to the touch. And you’ll need to judge for yourself if the vertical column of transmission-gear-selection buttons just right of the steering wheel is a suitable substitute for a conventional shift lever. On the upside, the Premiere has real aluminum trim on dash and doors; the other models get genuine wood accents. Soft leather upholstery is standard, with Select and Reserve dialing up to sumptuous Bridge of Weir hides. The Black Label elevates further with a choice of three cabin themes, Thoroughbred, Indulgence, and Modern Heritage Each brings its own blend of colors and trims, all upholstered in patterned perforated Venetian leather offset by an Alcantara headliner, and, respectively Chilean Maple, Ziricote, and Piano Black veneers. Standard across the board are heated 10-way power front seats with power lumbar and driver’s memory. Optional at $1,500 on Reserve and Black Label are 22-way multi-contoured front buckets with powered thigh extensions and headrests and massaging bladders. A power tilt/telescoping steering column is standard starting at the Select level. All this complements a cabin that’s spacious in front and provides extraordinary legroom in the rear. The panoramic moonroof available on the Select model and standard on Reserve and Black Label does steal some headroom, though, so tall folks should try before committing. Cargo volume is good, with 37.2 cubic feet behind the rear seat and 68.8 cubic feet with the standard split/folding 60/40 rear seatbacks folded. All but the base Premiere model come with a hands-free power liftgate that opens with a sweep of the foot below the rear bumper. Mechanical: Nothing changes. The standard engine is again a 3.7-liter V-6 with 303 horsepower and 278 pound-feet of torque. That’s on par with the V-6 in Acura’s lighter MDX and the base V-6 in the heavier Mercedes GLE. MKX performance falls between the two: perfectly adequate for everyday work, including drama-free highway merging, but with little in reserve for exuberant driving. An additional $2,000 nets a twin-turbocharged 2.7-liter V-6. This member of Ford’s EcoBoost engine family is also available in the Edge Sport, but Lincoln gives it an additional 20 horsepower, for 335 total, and an extra 30 pound-feet of torque, for a healthy 380. It’s a lively runner, notably faster than the 3.7 and appropriate for MKX’s upscale aspirations. Less fitting is the MKX’s automatic transmission. 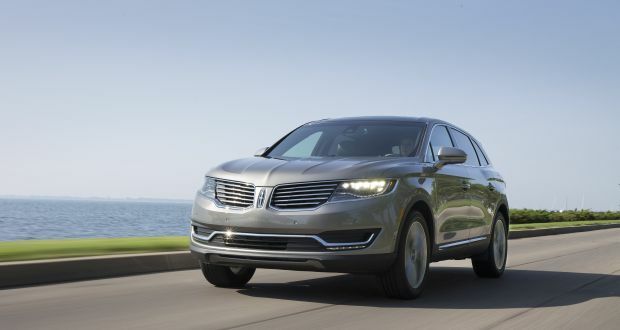 In a class where top entries use automatics with seven, eight, even nine speeds, Lincoln saddles the MKX with a six-speed. It upshifts promptly but is occasionally slow to downshift, frustrating your demands for quick power from cruising speeds. A more efficient transmission will have to await the 2019 re-engineering, but any ’18 MKX buyer should consider all-wheel drive – and deem it essential with the twin-turbo V-6. Available on any model for an additional $2,495, this is a basic system, normally operating in front-wheel drive and reapportioning power rearward as needed to maximize traction. It’s by no means intended for off-roading but does improve this crossover’s dry-road behavior significantly. It adds driver-selectable comfort, normal, and sport settings to the standard adaptive suspension. And its ability to apportion power adds a dimension of stability and steering precision oddly absent in front-wheel-drive MKXs. It’s vital, as well, to quelling the torque steering – pulling to the side during rapid acceleration – that afflicts front-wheel-drive MKX’s with the EcoBoost 2.7. Overall, any MKX favors easy passage over bumps, liberal body lean in turns, and a relaxed reaction to steering inputs. It’s a fair trade-off, given this Lincoln’s luxury mission and dovetails nicely with the MKX’s air of serenity. Features: Upgraded infotainment capability is the only change. The Lincoln Connect interface is now included on Premium and Reserve models after being standard only on Reserve and Black Label versions. It includes an embedded 4G modem with WiFi Hot Spot capability and enables the Lincoln Way App features. These bring to your smartphone a GPS vehicle locator as well as remote locking, unlocking, and remote vehicle starting immediately or on a schedule. It’s a nice adjunct to the already-standard Sync 3 system that integrates Sir Eyes Free, Apple CarPlay and Android Auto. Enabling the 8-inch dashboard touchscreen to display real-time GPS mapping in the absence of a cell signal, though, you still have to get the imbedded navigation system. It’s standard on Reserve and Black Label, part of the $1,200 Select Plus Package option for the Select model, and unavailable on the Premiere. That package also includes blind-spot and rear-cross-traffic detection, but the full suite of key safety features is limited to Reserve and Black Label versions – and then only as part of the Driver Assistance Package. This $2,250 option adds drowsy-driver alert, lane-maintaining automatic steering correction, and adaptive cruise control to maintain a set distance from traffic ahead. Vitally, it includes autonomous emergency braking that can slow or stop the MKX to mitigate a frontal collision. It’s disappointing that Lincoln reserves the most advanced driver aids for the top-line trim levels as part of a fairly pricey option package. MKX’s with the Driver Assistance Package earn the Insurance Institute of Highway Safety’s Top Safety Pick designation, the second-highest honor awarded by the insurance-industry-sponsored body. The model-year 2017 MKX’s didn’t earn the IIHS’s most coveted award, Top Safety Pick+, because they fell short in the headlight performance test. The IIHS had not published results of 2018 MKX testing in time for this review. If it’s personalized service that interests you, check out the experience Lincoln provides at the MKX Black Label level. It begins even before a purchase, with interested buyers contacting an online specialist who becomes their single point of contact throughout the process. By appointment, the specialist brings a mobile showroom to the prospect’s home or work. The customer chooses one of the three Black Label themes, along with other desired comfort and convenience features. Delivery of the completed vehicle takes place at a designated Lincoln Black Label dealership in a private studio segregated from the rest of the showroom. Alternatively, the customer can have it brought to their home or office, if it’s within 30 miles of the dealer. Additional Black Label benefits include 4 years/50,000 miles of no-charge scheduled maintenance with a complimentary loaner car and valet drop-off/pickup service. Owners also get priority access to a number of high-end restaurants in cities across the U.S. The 2018 MKX’s base prices are generally in line with those of comparably equipped five-passenger premium midsize crossovers, although checking every option box results in a bottom-line sticker of $66,465 for a Reserve and $69,900 for a Black Label. In a class where that sort of outlay can get you a well-equipped BMW, Mercedes, or Range Rover – all marques with more prestige than Lincoln, and with none of the MKX’s ties to its Ford cousin. Best advice for MKX shoppers: search out big discounts readily available. Note that base prices listed here include the manufacturer’s destination fee; it’s $925 for the ‘18 MKX. With the 3.7-liter V-6, base price for the 2018 MKX Premiere is $39,960 with front-wheel drive and $42,455 with AWD. For the Select, base prices are $43,475 with front-drive and $45,970 with AWD, and for the Reserve, $47,485 and $49,980, respectively. The Black Label starts at $55,155 with front-drive and at $57,650 with AWD. To any, add $2,000 for the twin-turbo V-6. Among notable options not already discussed, a rear-seat DVD entertainment system with screens in the back of the front headrests costs $1995. Inflatable rear outboard shoulder belts cost $350. A $790 Climate Package brings a Select or Reserve up to Black Label standards with heated outboard rear seats, a heated steering wheel, rain-sensing windshield wipers, automatic high-beam headlights, and a windshield wiper de-icer. Adding the panoramic sunroof and its power sunshade to the Select costs $1,895. Select and Reserve are available with a 13-speaker Revel-branded audio system for $1,155; a 19-speaker version is included on the Black Label and part of the Reserve’s $2,995 Luxury Package, which also includes the steering-linked LED headlamps standard on the Black Label. The $1,395 Technology Package equips a Reserve with the semi-autonomous parking system and surround-view camera standard on the Black Label. The Reserve is also available with 21-inch alloy wheels ($995, or $1,300 with a polished finish), and, for another $995, 21-inch summer performance tires. Two exclusive Black Label “premium” metallic colors — Chroma Elite Copper and Chroma Couture Dark Brown – are available at $1,750. EPA ratings for the 2018 MKX with the 3.7-liter V-6 are 17/25/20 mpg city/highway/combined with front-wheel drive and 16/23/19 mpg with AWD. Despite noticeably more power, the twin-turbo 2.7-liter rates slightly higher, at 18/25/20 mpg with front drive and 17/24/19 with AWD. You’re unlikely to notice a difference in most driving conditions, though. And Lincoln says you can use regular-grade 87-octane fuel for both engines; premium is neither recommended nor required.